For most of the fall-winter months, I saw what looked to be a strange, orange erector set structure reaching into the sky near Apollo’s Chariot. 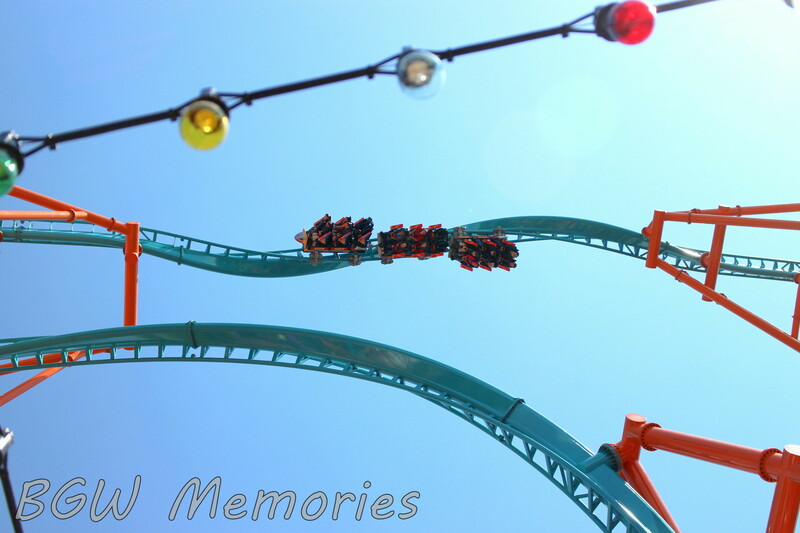 Soon after, light blue coaster tracks started rapidly appearing. During the off-season, these twisting tracks taunted me across the empty parking lots whenever I drove by on Route 60. Busch Gardens was obviously building a new coaster and thus, the anticipation of the opening day weighed heavily on my mind. All the planning, design, engineering, construction, inspections, testing, and sheer will it takes to both fund and produce any thrill ride always amazes me. These talented people work so hard to please the riders, who are inevitably the final product’s judge and jury. In many ways, building a roller coaster is no different than producing a big budget, block buster film and praying for success at the box-office. However, this movie will play over and over for decades to come. 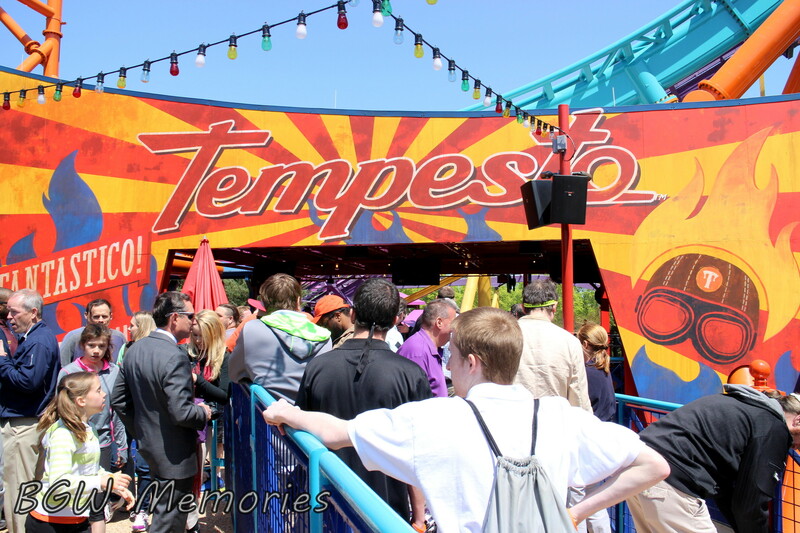 So I am putting on my Roger and Ebert hat and review Tempesto, the newest thrill ride at Busch Gardens Williamsburg. Tempesto was manufactured by Premier Rides and is now nestled in a very small footprint in the Festa Italia section of the park. 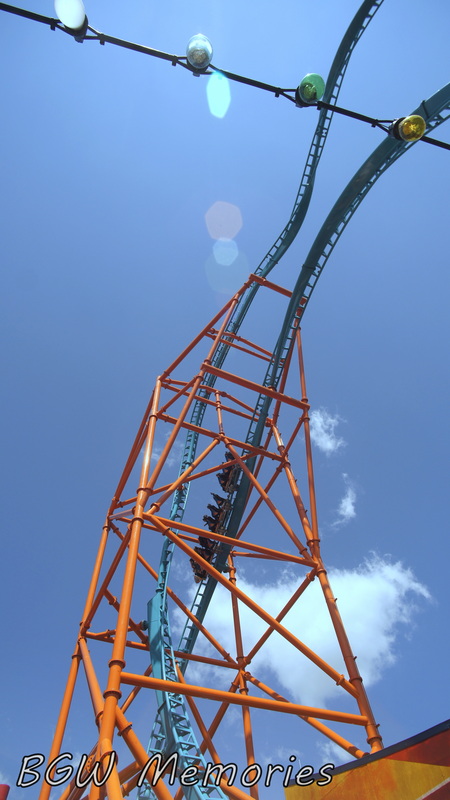 It features three launch elements, a 154-foot inversion, and reaches 63 mph on 883 feet of track. Sounds impressive right? Well it is! I was able to ride the front, middle, and back car and for a ride that is less than one minute, it packs a punch! Being shot through a magnetic launching system both forward in backwards makes the station house look like a blur. You then rocket straight up, twisting while you go to crest over a length of track that has what looks to be an impossible corkscrew twist. The inversion is that of a slow roll, and before you even get to focus on the landscape, you are thrust straight down through a tight fit of steal beams and track. There is another disorienting go round and back through the station for a roll back stop. The ride delivered on white-knuckle elements, but just as impressive was the theming. In true Busch Gardens’ fashion, the park has taken a roller coaster and given it a back-story everyone can relate to. Imagine that you are in a crowd at the circus looking up at the acrobats, tightrope walkers, and trapeze artists. Safely you sit among the spectators with a bag of popcorn and soda and watch people risk their lives. But… what if you were the daredevil? What would it feel like performing such terrifying stunts? Lucky for us we are not in a bicycle during the 154 foot inversion when riding Tempesto. The ride features a loose fitting, over-the-shoulder soft harness with a pressure lock lap bar. The front row offers a frightening view of the 154 ft inversion and for a brief moment you wonder if the coaster will make it through the complete turn. The back car gives riders a real gut-wrenching pull over each drop for an extra wow factor. 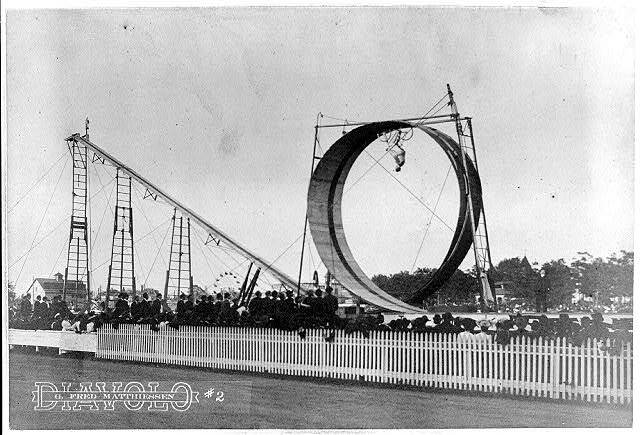 Going back to the turn of the century, people cried out for more stunts featuring bicycles, automobiles, and motorcycles. Their technology was new, edgy, and spoke to those who dreamed of the future. 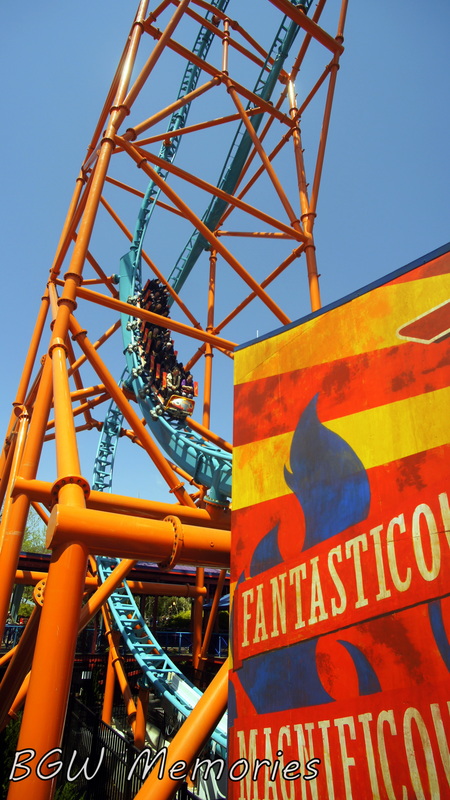 Busch Gardens uses that concept to their advantage with Tempesto. The entrance and queue line reflects a time period of death-defying acts of a traveling circus from the early 1900s. 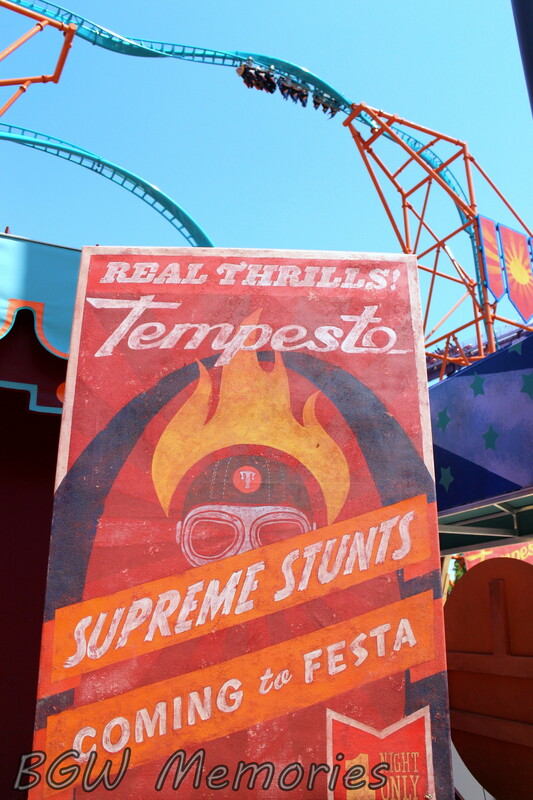 Vintage inspired sideshow posters are placed on the walls and carnival like lights string across the entrance in all its retro glory. 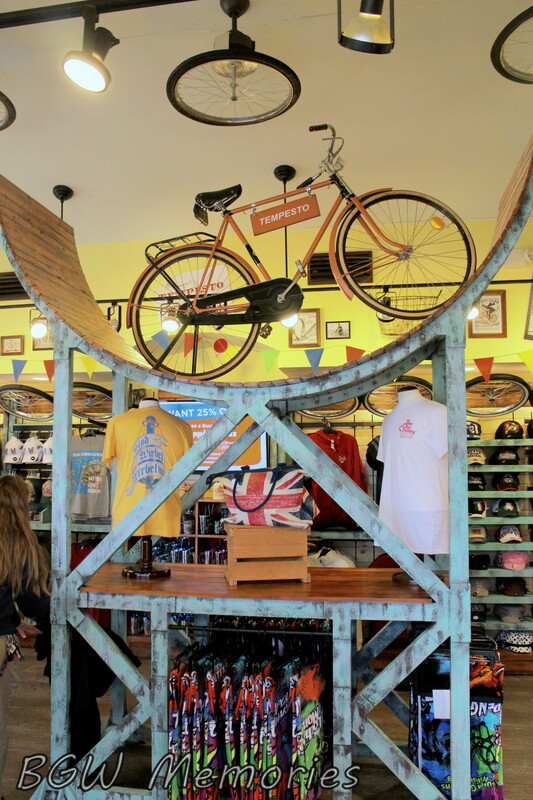 Even the ride’s gift shop carries the vintage décor of an era gone by. Nevertheless, the park cleverly meshes nostalgia and modern technology. 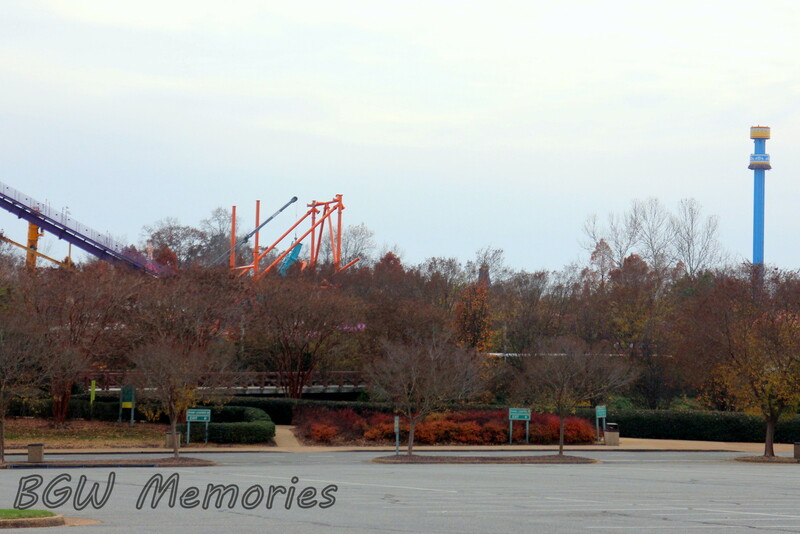 That is why Tempesto is perfect theming for the 40th Anniversary of Busch Gardens Williamsburg. It takes a timeless story and pushes the envelope for the daredevil in all of us. 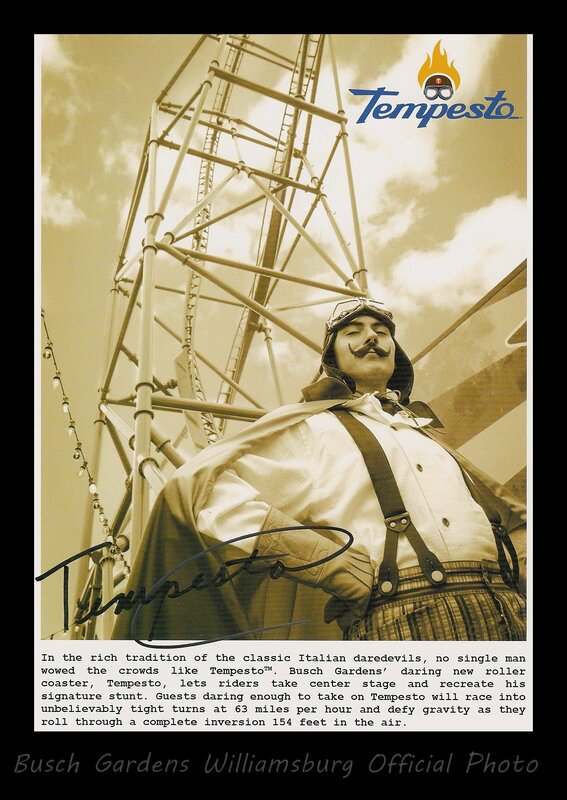 Tempesto: an awesome ride with a Steam Punk vibe! Now, it is time for you to decide. 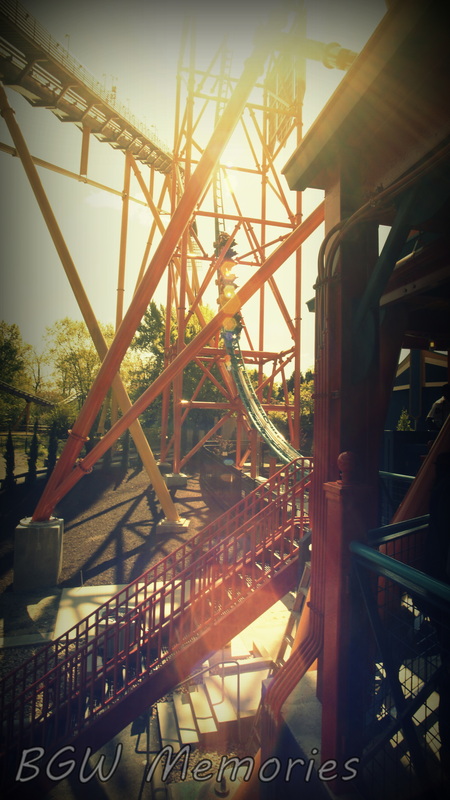 Will you stand and watch or do you dare to ride? Thanks for reading my review and please make sure to Like BGW Memories on Facebook for more photos of Busch Gardens past and present. 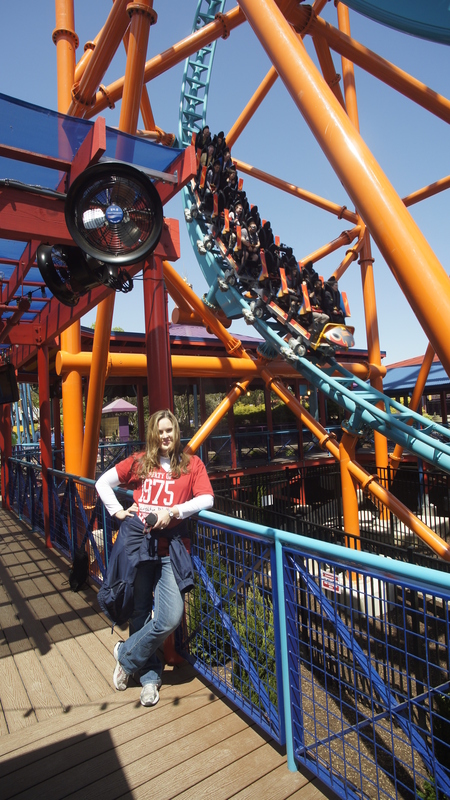 Feel free to share you memories, park photos, vinatge Busch Gardens images, and love for the park with us!